“Supporters of the Pashtoon Tahafuz Movement (PTM) are being harassed by the Pakistani Army,” said the movement’s leader Manzoor Pashteen. He also added that, “this ill-treatment has disappointed me too and I have decided to not to go for any negotiations with Islamabad. “The attack on the supporters of the movement in Wanna was carried out by Pakistan Army military-backed Taliban,” Pashteen said Wednesday. The preparations were done under the guidance of ISI in Local Army units. Pakistan government has rejected the demands of Pashtoon Tahafuz Movement, holding them under pressures. “Only in the past three-day attacks, six of our supporters have been killed and more than 50 injured in the Wanna and Angoor Ada areas,” said Pashteen. 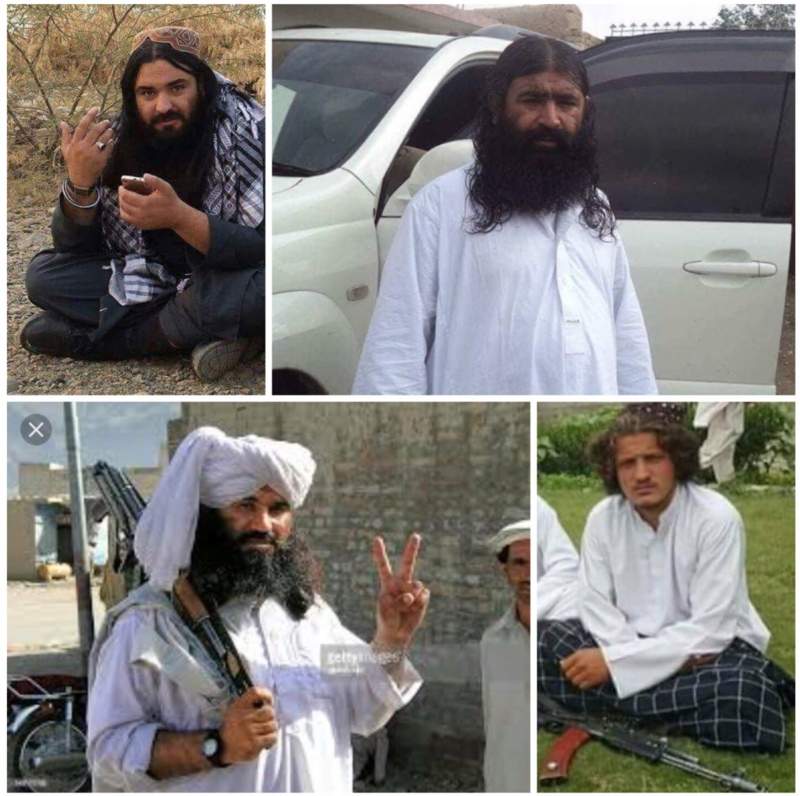 From Top left: Commander Malang, Tahsin Ullah, Tiger and Adnan. All are proclaimed Taliban terrorists. He rejected possibilities of negotiations with Pakistan government while the government kills, injuries and arrests his supporters. Pashtoons should not go missing, should not be killed by field courts and their areas should not be used as terror bases for Taliban. These are the Pashtoons’ demands to the Pakistan government and Manzoor called them as basic rights of an ordinary life. He denounced allegations by Pakistan Army spokesman i.e. DG ISPR Maj Gen Asif Ghafoor that Pashtoon movement was supported and used by foreign countries. He said in a video interview that its Pakistan Army which gets funds from China and that his moment is funded by local people.